Location of Ball in Rapides Parish, Louisiana. Kingsville Baptist Church, a Southern Baptist congregation at 3911 Monroe Highway in Ball, is located across from Forest Lawn Memorial Park. Ball is a town in Rapides Parish, just north of Pineville, Louisiana, United States. Established in 1972, it is part of the Alexandria, Louisiana Metropolitan Statistical Area. The population was 4,000 at the 2010 census, an increase of 8.7 percent over the 2000 tabulation of 3,681. Ball had its start as a logging town with a sawmill. In 2011, former mayor Roy Hebron, a Democrat, was sentenced to four years imprisonment for corruption. Hebron will return to the office after his election once more on November 6, 2018, when he handily unseated the Republican incumbent, Neil S. Kavanagh, 817 (56 percent) to 380 (26 percent). Another 254 votes (18 percent) went to a second Republican candidate, Gene Decker. Ball is located at 31°24′29″N 92°24′8″W﻿ / ﻿31.40806°N 92.40222°W﻿ / 31.40806; -92.40222 (31.407930, -92.402316). According to the United States Census Bureau, the town has a total area of 8.0 square miles (21 km2), all land. This climatic region is typified by large seasonal temperature differences, with warm to hot (and often humid) summers and cold (sometimes severely cold) winters. The heat has a heavy feel and can be dangerous due to the heat index which is caused by humid air. According to the Köppen Climate Classification system, Ball has a humid subtropical climate, abbreviated "Cfa" on climate maps. As of the census of 2000, there were 3,681 people, 1,435 households, and 1,057 families residing in the town. The population density was 458.1 people per square mile (177.0/km²). There were 1,524 housing units at an average density of 189.7 per square mile (73.3/km²). The racial makeup of the town was 96.74% White, 1.58% African American, 0.65% Native American, 0.35% Asian, 0.03% Pacific Islander, 0.22% from other races, and 0.43% from two or more races. Hispanic or Latino of any race were 1.41% of the population. There were 1,435 households out of which 37.8% had children under the age of 18 living with them, 53.0% were married couples living together, 16.7% had a female householder with no husband present, and 26.3% were non-families. 23.1% of all households were made up of individuals and 8.7% had someone living alone who was 65 years of age or older. The average household size was 2.55 and the average family size was 2.97. In the town, the population was spread out with 27.9% under the age of 18, 10.2% from 18 to 24, 28.3% from 25 to 44, 22.9% from 45 to 64, and 10.6% who were 65 years of age or older. The median age was 34 years. For every 100 females, there were 90.7 males. For every 100 females age 18 and over, there were 82.3 males. The median income for a household in the town was $31,500, and the median income for a family was $38,588. Males had a median income of $31,667 versus $20,323 for females. The per capita income for the town was $14,178. About 10.1% of families and 13.6% of the population were below the poverty line, including 15.0% of those under age 18 and 7.6% of those age 65 or over. Ball residents are zoned to Rapides Parish School Board schools. Ball is home to two elementary schools within the city limits that residents may go to, Ball Elementary School and Paradise Elementary School. Some residents may also go to three nearby schools in Tioga: Tioga Elementary School, Tioga Junior High School, and Tioga High School. Frank Estes Cole, educator and football coach who served in both houses of the Louisiana State Legislature between 1944 and 1960. Chris Hazel, incoming 9th Judicial District Court judge and outgoing state representative, resides in Ball. 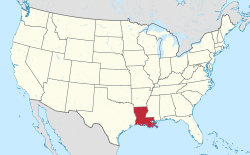 ^ "Ball, Louisiana". city-data.com. Retrieved October 27, 2012. ^ Leeper, Clare D'Artois (19 October 2012). Louisiana Place Names: Popular, Unusual, and Forgotten Stories of Towns, Cities, Plantations, Bayous, and Even Some Cemeteries. LSU Press. p. 28. ISBN 978-0-8071-4740-5. ^ "Former Louisiana Town Mayor Sentenced in Fraud Scheme". Claims Journal. May 25, 2011. Retrieved 16 August 2014. ^ "Election Returns: Rapides Parish". Louisiana Secretary of State. November 6, 2018. Retrieved November 9, 2018. ^ "Weatherbase.com". Weatherbase. 2013. Retrieved on October 5, 2013. ^ "Cole, Frank Estes". A Dictionary of Louisiana Biography (lahistory.org). Archived from the original on 2012-02-25. Retrieved December 19, 2010. This page was last edited on 12 November 2018, at 11:18 (UTC).